We want you to enjoy your backyard year round! You live in Paradise and with that comes the great responsibility of protecting your home from the sun, wind, and rain. We can help you with all three, not to mention keeping out the bad guys if necessary. Over the years, we have built up an extensive network of construction professionals, true artisans at their craft. Whether you want a new outdoor kitchen, cabana with retractable roof, fountain, water feature, or a complete backyard remodel; we can manage the project from start to finish. We have managed hurricane protection projects all over the Caribbean. Bahamas, Turks and Caicos, Grand Cayman, Jamaica, Puerto Rico, USVI, BVI, Grenada, Barbados, St Lucia, even the Pacific-Guam and Hawaii. South Florida homes have pools, barbecues, and outdoor living areas that are often under utilized because of the sun and the heat of the day. A retractable awning can provide shade on demand with the push of a button. When shade is not desired, the awning retracts against the façade of your home, giving it a clean, uncluttered look. 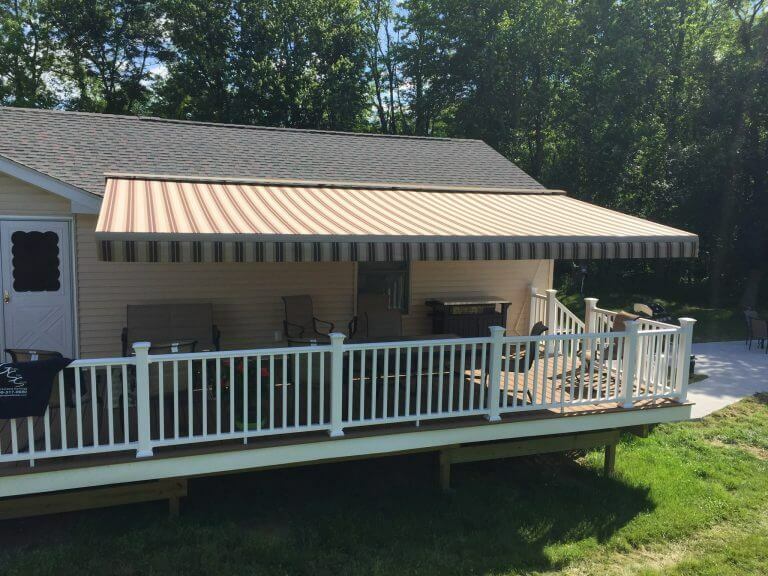 There are no posts or columns required to instantly create a porch covering that will protect you from the sun’s harmful rays and the afternoon showers that we often see in the summer. 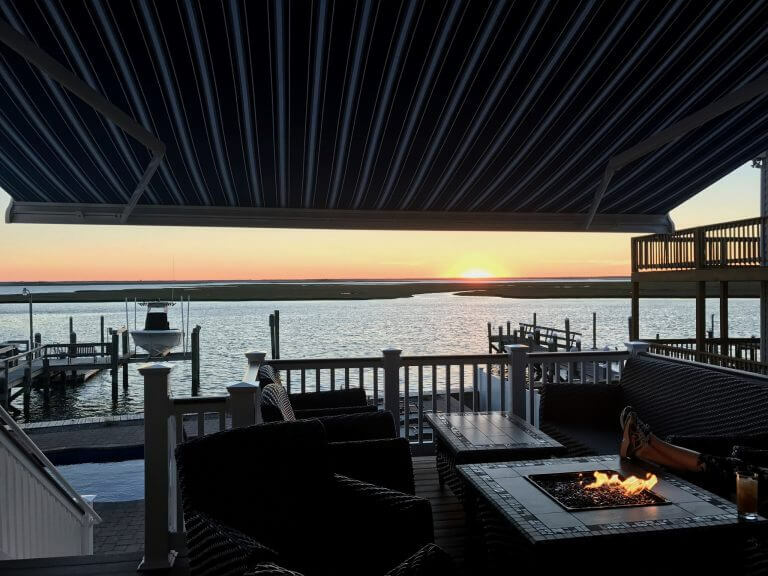 The absolute finest retractable awning on the market is made by Eclipse Shading Systems and have been ranked number 1 by the Retractable Awning Review for 8 consecutive years! With widths up to 40 feet wide and projections over 16 feet, Eclipse retractable awnings offer the largest sizes and the longest warranty available. A multitude of fabric options by Sunbrella are offered with the fastest manufacture time in the business. Before you know it, you will be living it up, outdoors. We have an extensive range of outdoor awnings, so you’re sure to find the perfect one to enhance the beauty and functionality of your home or office. Motorized bug screens can provide protection against insects and bugs, all the way down to the tiny no-see-ums by the beach. They can be rolled down in the evening right before those pesky mosquitoes chase everyone off the porch. 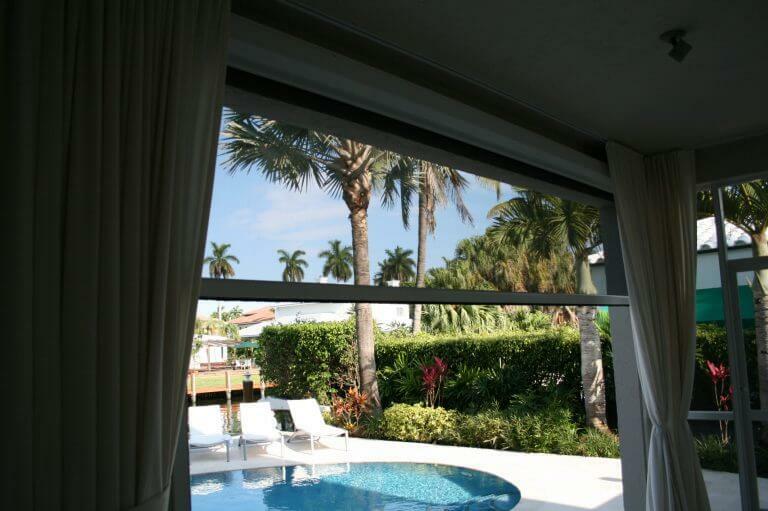 When the bugs are not out, these bug screens can be rolled up so they do not restrict your beautiful view. 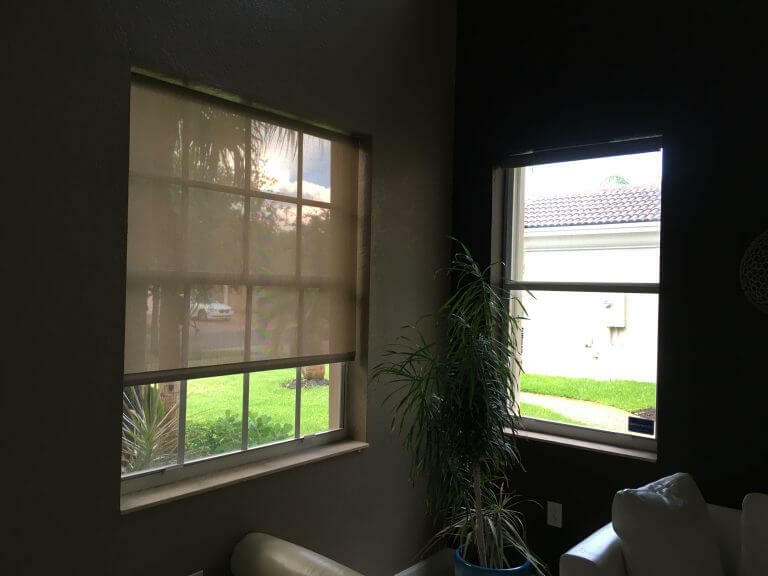 Offering a multitude of fabric options, exterior rolling screens provide a barrier to the heat from the sun BEFORE it reaches your windows or porch. Allowing enough visibiltiy to see through, these screens can reduce the temperature on the inside up to 20%. Provide privacy at the touch of a button and manage ambient light throughout the day. Timed to move up and down with the direction of the sun and the heat of the day to stop the sun’s damaging effects on your furniture and carpets. What makes us different? We have been in the field installing shutters since 1992! 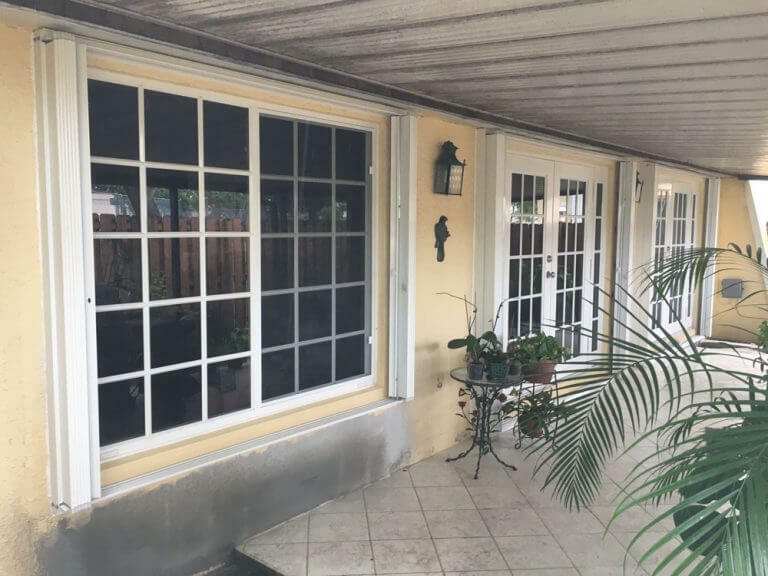 Stainless Steel Screens are unique because they offer several benefits along with hurricane protection. Stainless screen prevent bugs and animals from entering your home. They are always in place, protecting you from intruders 365 days a year and giving you more time to prepare for a storm. Turn your porch into a hurricane safe room, protecting everything on the porch and creating a safe room where you can store your outdoor furniture, BBQ grill, and plants making for easier storm preparation. Sleep with your windows open and feel confident that your family is safe. Stainless Steel Perforated Window Barrier. Exeter is the originator of the perforated sheet covering and was the first product to pass the Dade County impact test when the code was first enacted after Andrew in 1994. Not only is the Exter perforated barrier super strong but they are also aesthetically pleasing and see through, hence the name InvisiPerf. Exter’s Security Shield Window Barriers are engineered for threat levels up to maximum security (HUD/SMA) and the existing design exceeds GSA Category C blast load and hazard level requirement. Accordion Shutters. We only sell EMS Bertha HV accordion, the finest accordion shutter on the market. 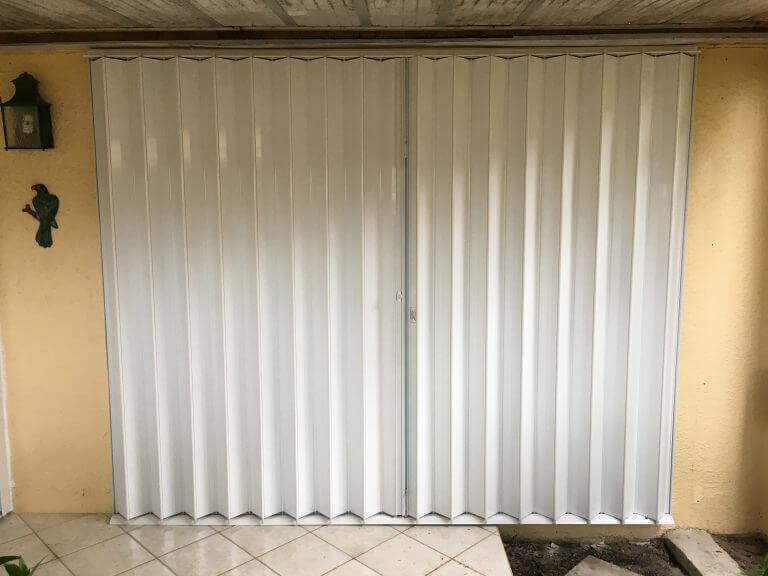 Having personal experience in the testing of this shutter at American Test Lab in Pompano, this shutter’s performance and tested applications exceed all others. It is the easiest to lock of all the low profile or small stacking shutters due to the built in handles on the centermates. There are several cheap models of accordions on the market, buyer beware. Make sure that you see samples of the accordion that you are buying. 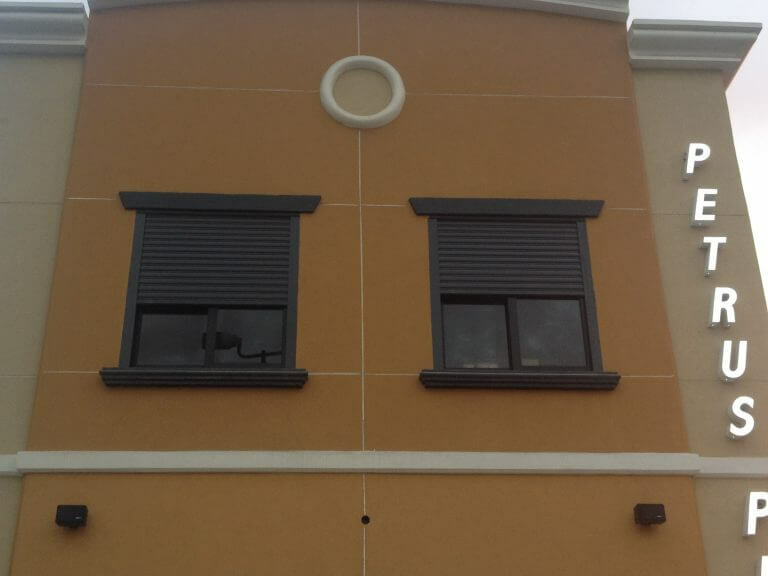 Rolling Shutters are the top of the line in hurricane protection. They can be deployed at the touch of a button and can work for you all day every day. Rolling shutters can be timed with the sun to keep the sun off your windows and the heat out of your house. We are very experienced with building the shutters into your structure so the shutters become invisible unless they are closed. We can also add a rolling bug screen around the perimeter of your patio so you can have bug protection or hurricane protection at the flick of the switch. Remote control rolling products can also be controlled remotely by an APP. Have you ever walked in a theme park, outdoor mall, zoo, or sat at an outdoor restaurant and felt a cool mist that disappears on contact and makes you feel ultra refreshed? Have you also dreamt of feeling that way in your own backyard? Well now you can. 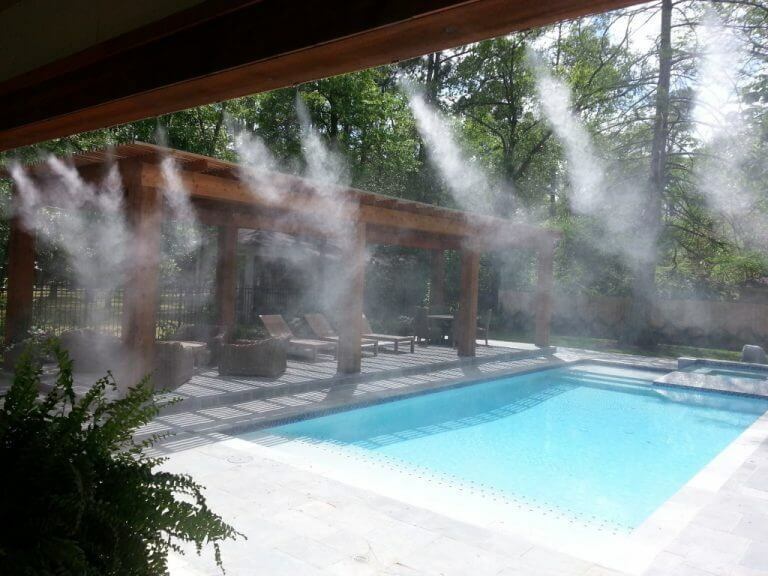 Misting systems work by evaporative cooling which is remarkably energy and water efficient. The mist is so fine and the pumps that we provide are so efficient, it is cheaper to cool your patio down than air condition your indoor living area. Our mist pumps increase the pressure to 1000 psi for high-pressure mist. This creates an ultra fine mist that causes immediate temperature reduction without leaving the area damp or uncomfortable. 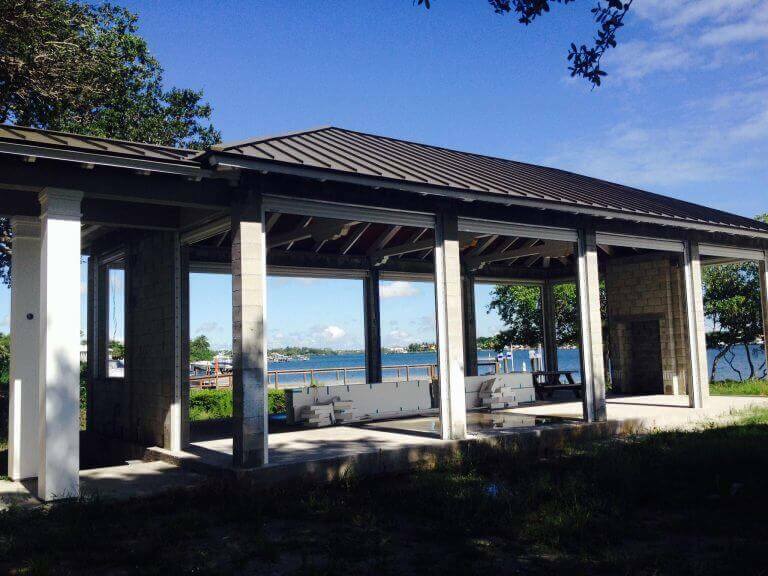 Mist pumps can lower the temperature by as much as 20 degrees in our humid South Florida climate. We also have combination misting fans that provide directional air flow along with our high powered misters. 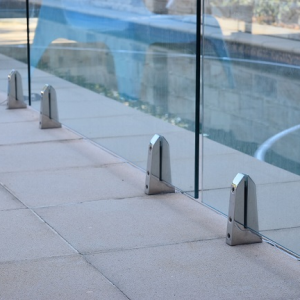 Glass Railing is the hottest new way to enclose your pool or balcony. Stainless steel hardware in polished or brushed finish combined with laminated glass creates a beautiful finish around your pool and property. Glass railing is virtually invisible, allowing a continuous view without the interruption of posts, pickets, or top rail. Top handrails are available for stairs and walkways.